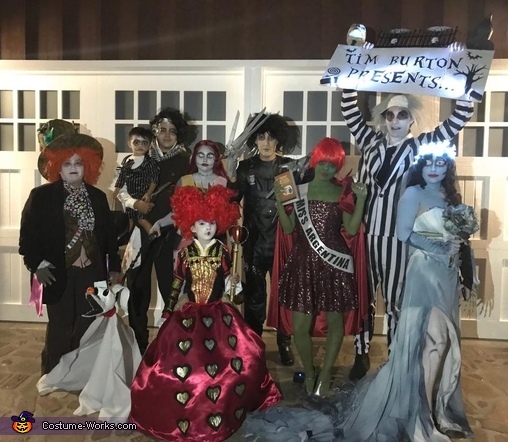 Every year our group chooses a theme to be for Halloween, this year we chose to be characters from Tim Burton movies. All of our costumes were either made from scratch (random fabric pieces and sewn together) or they were thrift store clothing items transformed into something spectacular. We take pride in making our own costumes every year and try to recreate the original characters as best as we can.